The company Alcatel SA — formerly a French company. Its headquarters are located in Paris. Founded in 1898 in Alsace, the French engineer Pierre Azaria Armenian origin. In 2004, the Department of Alcatel for the production of mobile phones and similar branch of the Chinese company TCL formed a joint venture TCL & Alcatel Mobile Phones Limited (TAMP). All production plants Alcatel phones have been moved to China. Alcatel phones which model is better? Smartphone ALCATEL ONE TOUCH PIXI 2 4014D — compact budget model, not overloaded with extra features. P provides economical dual-core processor with a clock frequency of 1000 Hz, whereby smartphone can not only make and receive phone calls, he also provides access to the Internet, makes it possible to listen to music and watch videos. The image on the 3.5-inch touch screen will always be quite bright and clear. Two SIM-cards, allowing one machine to use two numbers. Additional memory. The volume of non-volatile memory of the smartphone — 4 GB, of which the user can use only 2 GB. You can use microSD cards up to 32 GB. A simple model with basic options. The device weighs 59 grams, due to what will become invisible, but indispensable companion. FM-radio. This is the main entertainment in this device, always accessible and useful. An optimal set of modes. ALCATEL mobile phones 1008 support in addition to the alarm, vibrating alert and flight mode, you can connect a headset. For emergency situations have a flashlight. Standard options are also provided: calendar, alarm clock, calculator and notes. The cheapest of the presented comparison. 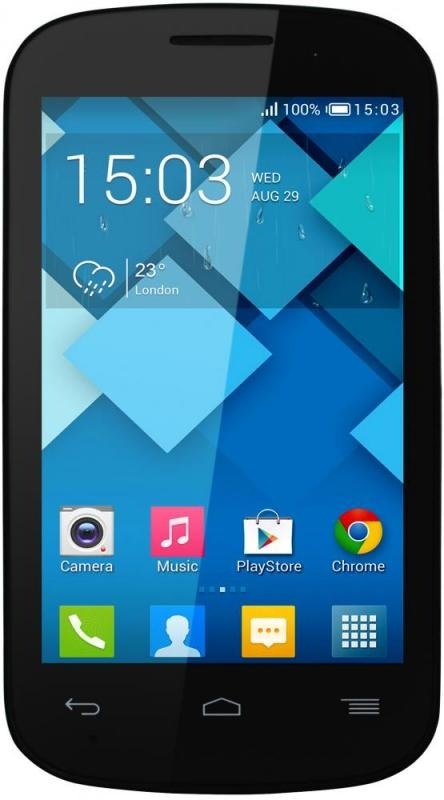 ALCATEL ONE TOUCH POP C2 4032D is a simple and inexpensive device communicative convenient for people do not have much experience of using smartphones, and are not willing to pay more for features they still will not use often. The smartphone has a compact size, is equipped with a 4-inch screen with a resolution of 800 x 480 pixels. 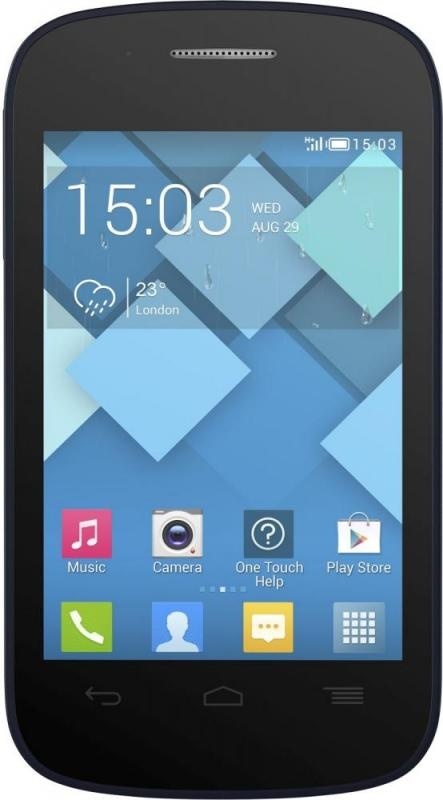 Smartphone ALCATEL ONE TOUCH PIXI 4007D — a budget model with a 3.5-inch touch screen, support for two SIM cards and the ability to connect high-speed 3G-Internet. The model supports two SIM cards, and this is another great opportunity to save on the most favorable rates for calls and mobile Internet. Do smartphone ALCATEL ONE TOUCH PIXI 4007D has virtually all the features that are present in the models of this class — touch screen with support for Multitouch, an expanded set of tools for the implementation of wireless connection to the Internet, media player with radio, webcam, jacks for synchronization. A European style, which holds the device, and is perfect for young people, and for the business user. Budget model for the modern man. Slots for two SIM-cards, small bright display and lightweight body make the device a good choice for active users who travel a lot. 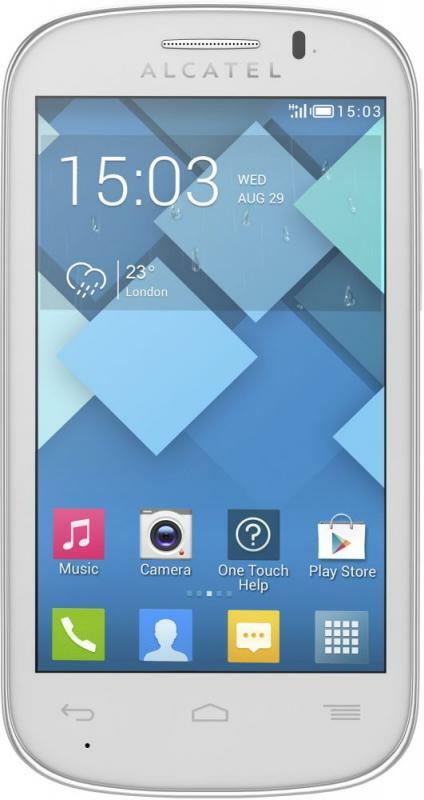 Smartphone ALCATEL ONE TOUCH POP C3 4033D lets you insert a memory card up to 32 GB inclusive. Camera, radio, voice recorder and navigator — a partial list of all the features of the model. Compact smartphone will provide a wide range of entertainment and individual settings. The smartphone weighs 110 grams and has a modest size. Smartphone ALCATEL ONE TOUCH POP C7 7041D — a more advanced model. There is a powerful quad-core processor, a large five-inch screen, a camera with a resolution of significant and means for fast wireless Internet. There is also support for two SIM cards. Faster loading of applications and provides smooth playback of video quad-core processor with a clock speed of 1.3 GHz. Pre-installed operating system Android v4.2 Jelly Bean will provide access to numerous interesting programs. A memory that is convenient to write different content can be increased by 32 GB through flash cards. Five-inch touch screen is quite convenient for loading websites and to view the photos, videos, reading nautical charts, write messages, etc. And support Multitouch technology will enable touch zoom. Built-in GPS navigator with fast positioning A-GPS is useful if you need to navigate the city. Camera with a resolution of 5 MP, autofocus and built-in flash will allow pretty well take a photo or record a video to save his archive, share with friends or lay out on the Internet. And support for smartphone ALCATEL ONE TOUCH POP C7 7041D two SIM cards will save on mobile communication to those who are often roaming. 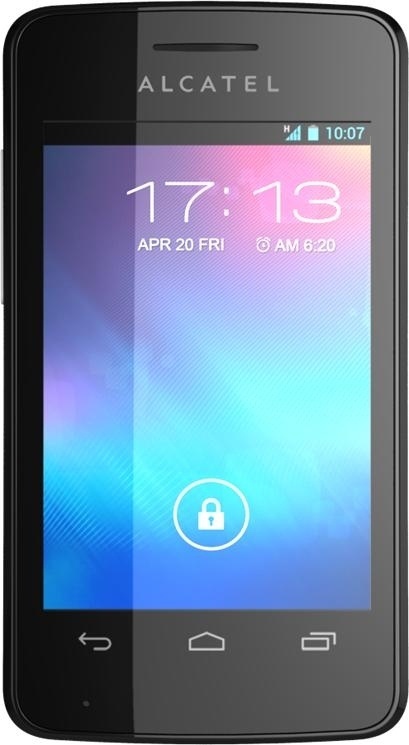 Smartphone ALCATEL ONE TOUCH 6012X IDOL MINI — is a compact and lightweight model. Pretty cheap device, including the Internet, as well as plenty of entertainment and opportunities. There is a navigator. Screen with a diagonal of 4.3 inches will provide a comfortable control applications. Smartphone ALCATEL ONE TOUCH 6012X IDOL MINI can connect to the Internet via Wi-Fi module and the 3G-modem. For fast synchronization include Bluetooth and port microUSB. Expand the memory device allows the connector microSD, where you can set the flash card up to 32 GB. The smartphone has a rear and front cameras. Resolution is the main 5 megapixel, autofocus and flash. The user can create photos and videos of good quality. In addition, the device will play your favorite music and movies owner. There is a voice recorder and FM-radio. Smartphone ALCATEL ONE TOUCH 6012X IDOL MINI weighs less than 100 grams, like active people, travelers and athletes. Smartphone ALCATEL ONE TOUCH 6043D IDOL X + — modern model with a high-speed «stuffing», a clear five-inch HD-screen TV, a powerful camera and a high-capacity battery.The model uses SACD support 24-bit / 192 kHz ES9018 hardware decoder and headphone amplifier MAX9720, which provides superior quality, rich in a wide frequency range, deep bass and crystal-clear playback of Hi-Fi-Sound.Pre-installed operating system Android v4.2 Jelly Bean provides many interesting possibilities. In addition, the owner of the smartphone will be able to enjoy the unique functions of the Alcatel One Touch, such as vertically scrolling table widget, or a screen with a preview of the photo template. There is also a video amplifier smooth ClearMotion, economy mode the battery consumption and two virtual keyboard (standard Android and SwiftKey with swipe and a large number of settings). A special wireless interface will support the work of sports measuring gadgets, such as a pedometer.Built-in smart phone ALCATEL ONE TOUCH 6043D IDOL X + 13-megapixel camera has an aperture of f / 2.0, auto focus and flash for shooting under any light conditions. Automatic modes help to achieve interesting effects and provide HR and best quality movies. In addition, the user can change the ISO setting and exposure in manual mode. 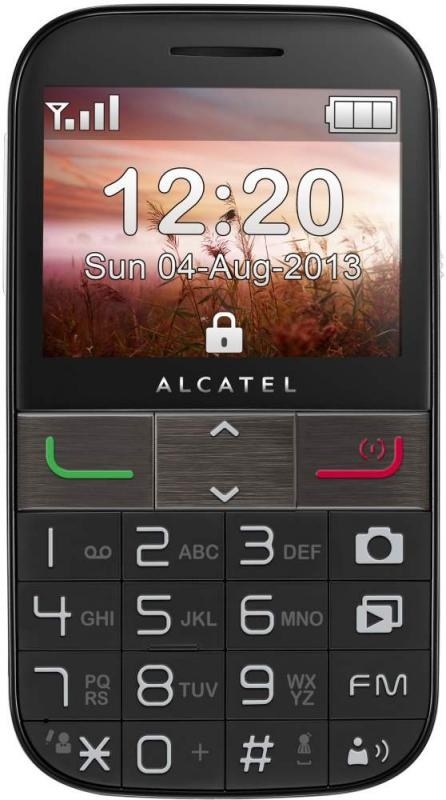 Mobile telephone «clamshell» ALCATEL 2012D with traditional button keypad. Audio and video player, FM-radio, color 2.4-inch screen with a resolution of 320x240 pixels — all this guarantees that the owner does not get bored on a trip, or while waiting for transport to a halt, because at any moment he can watch video, listen to music and even play simple games. The phone has a 3-megapixel camera that can shoot both photos and videos. With its help, you can always capture the memory that will attract attention, and the quality of pictures and movies would be worthy. The telephone is a handy personal organizer that includes a phone book, alarm clock, calculator, and a number of other useful features and capabilities. If the owner will go out with ALCATEL 2012D, its services — pre-installed social networking applications. Mobile Phone ALCATEL ONE TOUCH 2001X miniature model, with large buttons and intuitive control. The phone can establish a wireless connection to the Internet. The connection is thanks to the integrated GPRS-module, which is slowly but surely load the desired page. The volume of the memory can be increased by connecting the flash card format microSD, microSDHC. To synchronize with other devices equipped with a connector housing phone microUSB. The model also has a built-in Bluetooth 3.0, using which the owner will be able to receive phone calls via a wireless headset. Mobile Phone ALCATEL ONE TOUCH 2001X is equipped with a megapixel camera that allows the user to get a pretty decent photos and shoot videos. 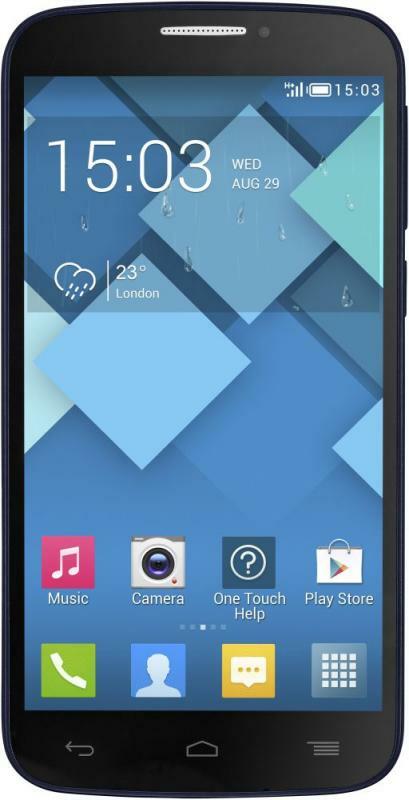 Smartphone ALCATEL ONE TOUCH 6032H Idol Alpha. Slim metal body with transparent inserts. The phone fits comfortably in the hand and does not slip through the beveled edges.Large display. A colorful display with a diagonal of 4.7 inches has HD-resolution of 1280x720 pixels. Anti-reflective coating makes it possible to improve contrast and reduce the reflection of light from the surface.Due to the capacious battery 2000 mAh, on a single charge smartphone can work up to 20 hours of talk time and up to 24 hours of music playback. You can play games, watch movies.The smartphone is equipped with all necessary software. This Wi-Fi c support for Wi-Fi Direct, and an image displayed on the TV screen, Bluetooth 4.0, FM-radio. Also, the device has an internal memory of 16 GB. Of applications can be identified energy savings program that disables activity programs in sleep mode. Quad-core processor clocked at 1.2 GHz and 1 GB of RAM, it is easy to run any application that supports the stable operation, providing smooth playback of graphics, including games. 4.5-inch screen with a resolution 960h540 pixels for reading texts, surf the web, playing games, viewing photos and videos. Any picture on it will always be a bright, clear, legible. Two cameras. With the main 8-megapixel camera, equipped with autofocus and LED flash, you can take pictures or hold a video shooting. The front camera with a resolution of 0.3 megapixels.